We absolutely love Mary Lambert's Pet Sematary around these parts. It is a classic film adaption of one of Stephen King's most tragic horror stories. Apparently, both John Campopiano and Justin White love the film, too. Which is why they took it upon themselves to create the most extensive and detailed look into Pet Sematary...ever. While the film is very much still in production, John Campopiano was nice enough to sit down last month with our very own Bryan for a little Deviant interview. I've had many nightmares since first watching Pet Sematary many years ago and while I type this and stare at the image down below of Zelda, I can feel the hairs on the back of my neck raising. It is unequivocally one of the best Stephen King film adaptations ever made and I never get tired of watching it. However, it always amazed me as to how no one has ever made any kind of true documentary about the film. Hell, even the special features on my old DVD doesn't really go into any real kind of depth involving the production of the film. 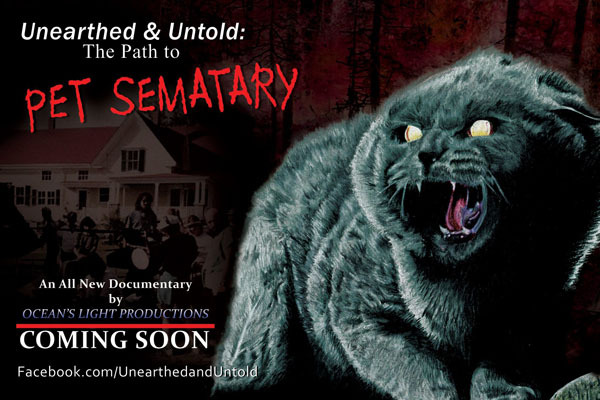 Well, today...John Campopiano lets us in on his journey into the making of Unearthed & Untold: The Path to Pet Sematary! FILM DEVIANT: So, how did this project come about? JOHN CAMPOPIANO: This project came about after Justin and I visited the filming locations in Maine back in 2011. Most horror buffs love seeing filming locations from their favorite films. Justin and I are not different. After spending a weekend in Maine we realized that there was a larger story to be told about Pet Sematary, the experiences of those in Maine who helped make the film, etc. We thought this was an opportunity to make an interesting and original documentary about Pet Sematary. FILM DEVIANT: It feels evident from watching the trailer that you guys put a lot of love into this project. What exactly did Pet Sematary mean to you growing up? JOHN CAMPOPIANO: Growing up, Pet Sematary was always one of those films that evoked a lot of visceral emotions from us. Even as a kid when I couldn't really comprehend the tragic nature of the death of a child (though I knew it was big and bad) the film captivated me. Just like everyone else who saw the movie, the character of Zelda had me frozen in fear. He was just such an effective character. Brilliant, really. 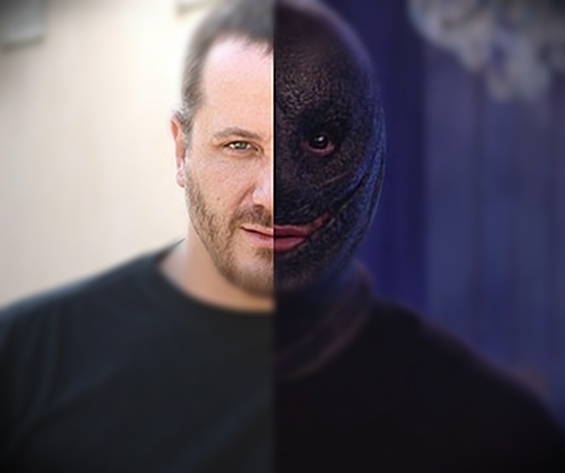 On top of all that, I'm hard pressed to think of another horror film with so many memorable characters. Pet Sematary may not have had the biggest budget or made as big of a splash in the theater as, say, Halloween, but anyone who saw the film, even just once, remembers Zelda, Church, the quirkiness of Fred Gwynne, Gage and all the havoc he wreaked. It's remarkable to us that so many elements of this little horror film are still burned into the consciousness of fans. FILM DEVIANT: Being from Massachusetts myself, I love how the documentary seems to capture the importance of filming in Maine. Was that always a main theme for the project? Stressing the correlation between King and Maine? JOHN CAMPOPIANO: The major theme is really to balance the significance of Maine as a central piece of the story and the more standard "making of" components of the film. Truthfully it has all been a balancing act of sorts - filming locations, memories from Maine, memories from cast and crew, technical details about how important parts of the film were achieved, footage, photos, etc, etc. It's a lot to throw into the pot and make it work. We're definitely making it work. FILM DEVIANT: How has your experience been getting to meet all the amazing original cast members and filmmakers? JOHN CAMPOPIANO: It has been wonderful. We consider many of them friends now. They're all very intelligent, generous with their time, and eager to help us make a great documentary. There's no doubt that if we didn't have their full support we wouldn't be where we are today. FILM DEVIANT: Any fun stories from the production of the film? JOHN CAMPOPIANO: Lots! But, we'll save them for the doc...haha! FILM DEVIANT: Fair enough (laughter). What has the hardest part been so far in terms of putting a film like this together? JOHN CAMPOPIANO: One of the hardest parts was coming to this as first-time filmmakers. When you're starting out for the first time with no real credentials to speak of it's hard to gain the confidence from others and to convince them that this is a serious project. Of course you eventually overcome this after a while, but in the beginning it can be a real hurdle. Filmmakers, John Campopiano (left) and Justin White (right). JOHN CAMPOPIANO: Some don't consider Jaws a horror film - perhaps more of a thriller. But, all around, that is my favorite film. FILM DEVIANT: Jaws is an awesome horror film! How do you feel the landscape of the horror genre has changed since Pet Sematary first came out? JOHN CAMPOPIANO: That's a great question. I'm not sure I know the answer. What I can say is that I think Pet Sematary is part of a small sub-genre of films that utilized the horror and sadness beautifully. In the 1980s I think we were seeing more splatter for the shock value and less emotional manipulation interwoven with the horror elements. I know there are other examples of this, but I think Pet Sematary was different for this reason. I wonder how much of this kind of thing we're seeing in horror films today. It's certainly out there, but I don't think it has become part of the typical formula. JOHN CAMPOPIANO: Mostly everyone around me. FILM DEVIANT: What would you like to say to all the Pet Sematary fans eagerly awaiting this documentary? JOHN CAMPOPIANO: Thank you for all the support and patience. We know it has been a long time coming and we hope we don't disappoint. Check out the trailer below...and follow the film HERE for more details as they develop!